Fort Worth Dallas magician Timothy Tyler is a magician, comedian Magician who works to make you look great and your friends laugh like never before! For dinners, luncheons, or for your theme parties,charity and fund raising events... Timothy Tyler is a personality who will make your event a memorable event! Wonder, surprise... mixed with laughter,fun and Magic! Timothy has performed his magic All over Dallas Fort Worth. With 20+ years experience means that you have a seasoned entertainer. 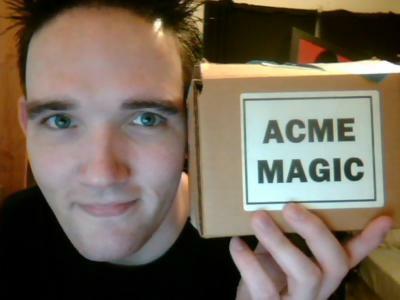 Is Timothy Tyler the best magician and entertainer for your event? Yes, Timothy works to make your guest feel great and look awesome with every guest being the star of the show. Smiles are not an option, laughter required! Timothy's specialty as a comedy magician is in creating memorable moments and making your event the talk of the town for many weeks to come! The Perfect Idea to make your Child a Star. 2). Birthday Party Magic Show + Tim turns your child into the magician. Please note Magician Timothy Tyler will also travel to Arlington, Hurst, Kennedale, Bedford, Crowley, Keller, Colleyville, Burleson, Euless, Haslet, Azle, Aledo, Mansfield, Southlake, Grand Prairie, Grapevine, Lillian, Newark, Roanoke, Joshua, Dallas, Irving, Justin, Coppell, Cresson, Flower Mound, Godley, Rhome, Richardson, Duncanville.